Israel's ambassador in Dublin, Zeev Boker, warned in a telegram sent to the Foreign Ministry in Jerusalem on Tuesday that the Irish government may decide soon to recognize Palestine as a state, according to a report by Haaretz. A senior official in Jerusalem said that Ambassador Boker has advised to act immediately to put the brakes on the process via a phone call between Prime Minister Binyamin Netanyahu and Irish counterpart Enda Kenny and a request that the new United States administration press the Irish government to avoid recognizing such a state. On Wednesday, PA Chairman Mahmoud Abbas called for recognition by all countries that have not yet done so. Embassy officials estimated that Israel’s decision to pass the Regulation Law might precipitate the Irish decision regarding the recognition of a Palestinian State. In October 2014 the Swedish government officially recognized Palestine as a state, making Sweden the first Western European country to do so. Since then there have been a wave of parliamentary resolutions in various EU countries calling on governments to recognize Palestine, but no other country has done so. 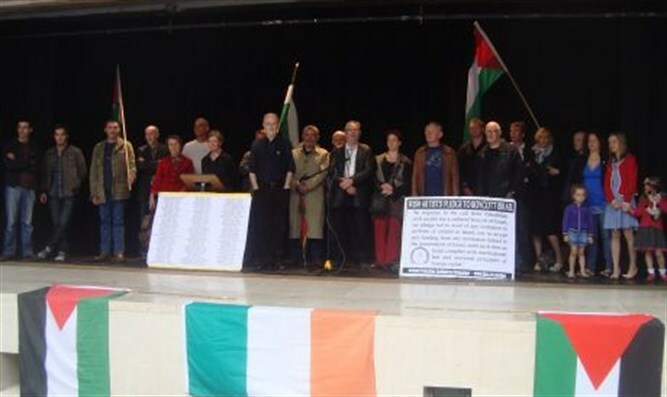 In December 2014, the Irish parliament passed a declarative resolution calling on the government to recognize Palestine. A few weeks later, Irish Foreign Minister Charles Flanagan said Dublin was considering it. Nevertheless, two years have passed and Ireland hasn’t taken this step, despite its continued criticisms of Israel's policies towards Ireland. In June 2016 Irish MP Darragh O’Brien submitted a resolution calling on Dublin to expedite the recognition of Palestine. In recent weeks O’Brien has intensified his actions in the Irish media and in parliament to bring the resolution to a vote. Boker wrote to the Foreign Ministry in Jerusalem that O’Brien’s resolution could be still be voted on this month and that afterward it was almost certain the government would make such a move. Boker wrote that it was crucial to start making diplomatic efforts now to prevent Irish recognition of Palestine.